From a rather mediocre send off, "Just Like Heaven" quickly blossoms into a lovely film. The first ten minutes or so play like a cheap imitation of some other good Reese Witherspoon films. Fortunately, the production makes a right angle turn into the film it really is -- a supernatural love story. How nice. I'm a big fan of Reese Witherspoon, Legally Blonde is an excellent film (I don't care what other people say!). And I quite enjoyed Sweet Home Alabama as well. Those were great scripts, and WItherspoon was absolutely flawless. But, here, she's not so rock solid. She slips to average. Could it be a genre she's not so comfortable with? 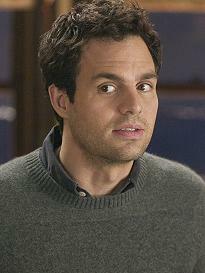 Anyway, this is a very good script and Mark Ruffalo picks up any slack let loose by Witherspoon. I'm also a big fan of his, and here, his performance is Oscar worthy - though no doubt will go unnoticed. Actually, that's something even more alluring about this actor ... there's a great childlike modesty in his performances that makes him so likeable. Anyway, aside from the first ten minutes (and the last ten also), I was either laughing or crying the whole time. That makes this warm-hearted film quite recommendable. A rather formulaic uninteresting resolution unfortunately deprives the film of a solid A.
Semi-Spoiler comment: Kind of bugged me the physics of their ghost though, if a ghost can't pick up a phone, can walk through walls, then why is it at rest on a wooden floor -- or propelled forward in a car? (Anyway, it's just one of those things you pretend to not to notice, because it's more fun to simply believe.) Btw, great smaller role performances by Ivana Milicevic and Dina Waters. Well done. Just Like Heaven. Copyright © 2005. Starring Mark Ruffalo, Reese Witherspoon, Donal Logue, Dina Waters, Ben Shenkman, Jon Heder, Ivana Milicevic, Caroline Aaron, Rosalind Chao. Screenplay by MaPeter Tolan, Leslie Dixon. Produced by Laurie MacDonald, Walter Parkes at Dreamworks.